In these days of global crisis, thoughtful seekers increasingly turn to Native Americans for healing wisdom. 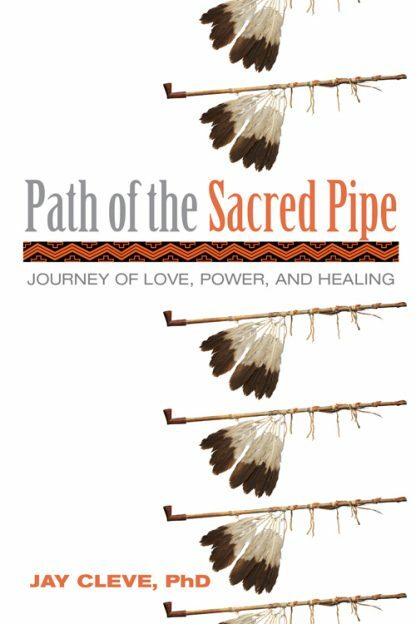 The Sacred Pipe is the medicine, says Jay Cleve in this informative and practical guide to a key practice of Native American spirituality. The Hopi and other ancient cultures predicted our present age as one of transition into a New World. The galactic alignment ending the Mayan calendar on December 21, 2012 occurs only every 26,000 years and is thought to be a critical time for raising consciousness to align with the radical expansion of Earth energies. Cleve shows how the Pipe can facilitate transformation on both the personal and planetary levels. He explains its use in rituals such as the sweat lodge, the vision quest, and the sun dance and in relation to the Medicine Wheel. He also provides practical information on obtaining and caring for a Pipe and on preparing for and performing the Pipe ceremony. Jay Cleve holds a B.A. in Psychology, an M.A. in Clinical Psychology, and a Ph.D. in Counseling Psychology. He has studied alternative and holistic approaches to psychology and healing for over 40 years and holds a ministerial license through Dalphi University. He is also an Ordained Spiritual Healer. An apprentice to Sun Bear and the Bear Tribe for many years, Cleve has received extensive training in the Sacred Pipe, sweat lodge, medicine wheel and other aspects of Native spirituality. As Director of the Community Mental Health Center in Stevens Point, Wis. for the past 17 years, he continues to attend and give workshops on holistic approaches to psychology. He is the author of Out of the Blues, a self-help depression book (CompCare, 1989; Berkeley of New York, revised, 1994) which has been published in German, Dutch, Russian and Chinese. Cleve works in Madison, Wis. and resides in Stevens Point, Wis.